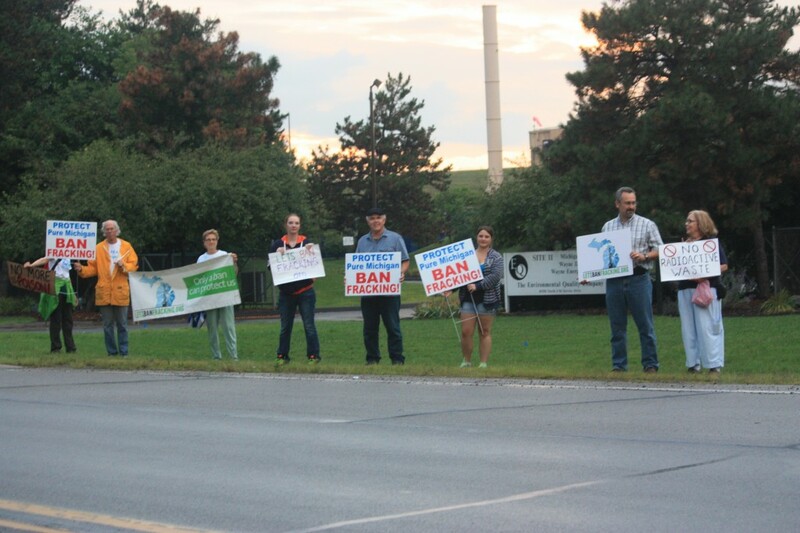 Numerous trucks went in and out of the Michigan Disposal facility in Belleville when we picketed for 9 hours on August 21. 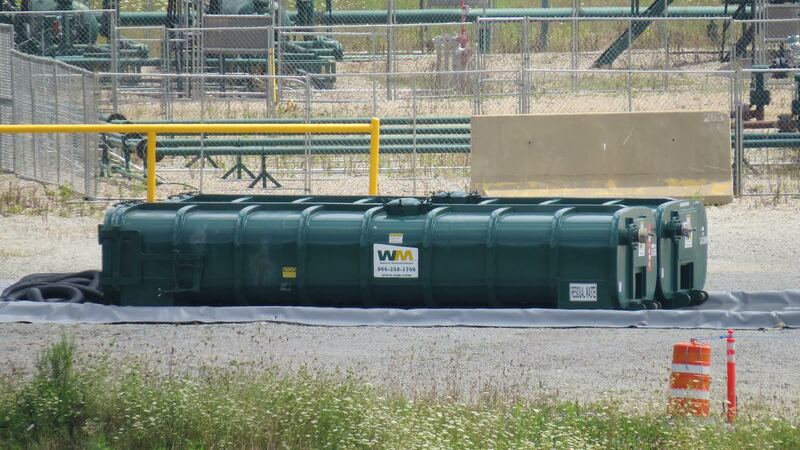 Several of the loads were these “roll off containers” similar to the ones used for radioactive frack sludge. Photo by LuAnne Kozma. Election-year politics seems to have intervened temporarily with the radioactive frack wastes from Washington County, Pennsylvania (where the wastes remain). Governor Rick Snyder announced on August 25 that he is creating a panel to “review disposal standards” of the state’s radioactive waste. 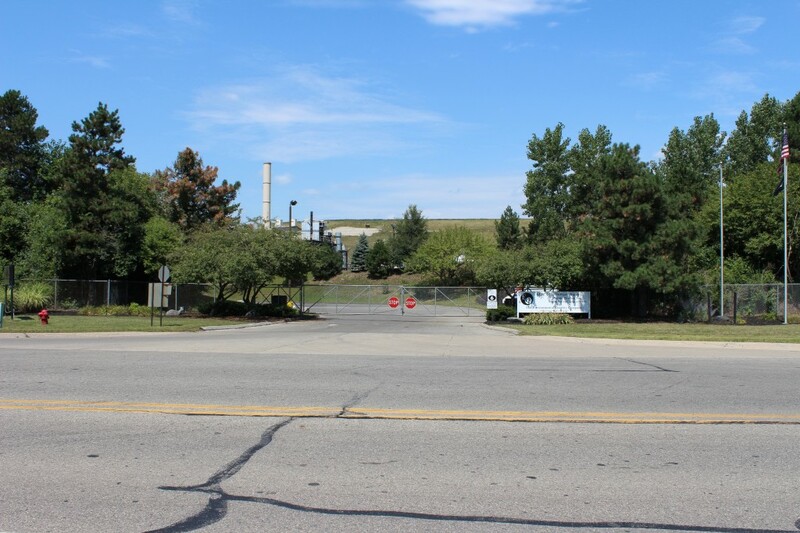 Additionally the company taking in the radioactive materials from Pennsylvania said it would temporarily suspend additional shipments until the panel’s review is complete. MLive noted Michigan DEQ spokesperson Brad Wurfel’s prediction that “the review panel will conclude that existing Michigan standards are appropriate.” Wurfel’s admission that this is a charade is quite bald. 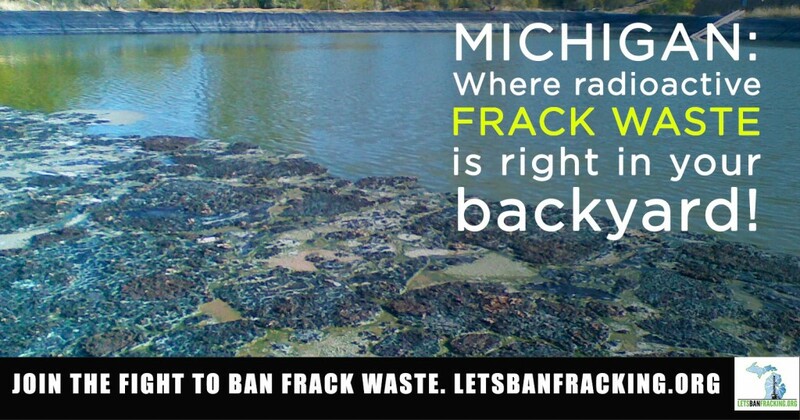 For his part, Democratic challenger Mark Schauer, who never mentions fracking whatsoever, opportunistically stated on his website that only out-of-state radioactive waste is his issue: “We can’t allow Michigan to be a dumping ground for radioactive waste that other states won’t allow in their own landfills.” Which is partly good, and of course it’s politically correct to not like radioactive waste, except that he doesn’t cover radioactive frack waste created locally. The Belleville Independent reports that tonight, September 2, the director of the landfill, Wayne Disposal, will make a presentation at the Van Buren Township meeting and answer questions. The public has to put the questions on cards. 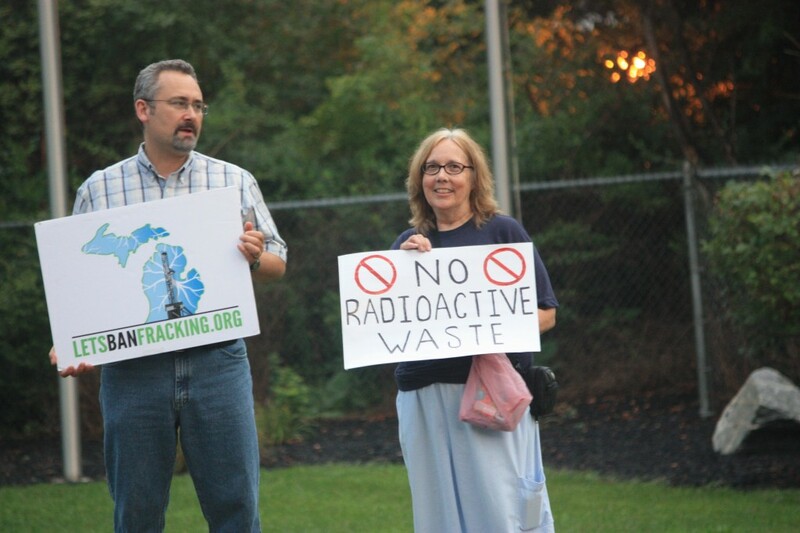 Township supervisor Linda Combs told the newspaper radioactive shipments from frack wastes were announced October 1, 2014 after public hearings and EPA approval. The local paper reported earlier this year that the landfill’s liner had ripped. 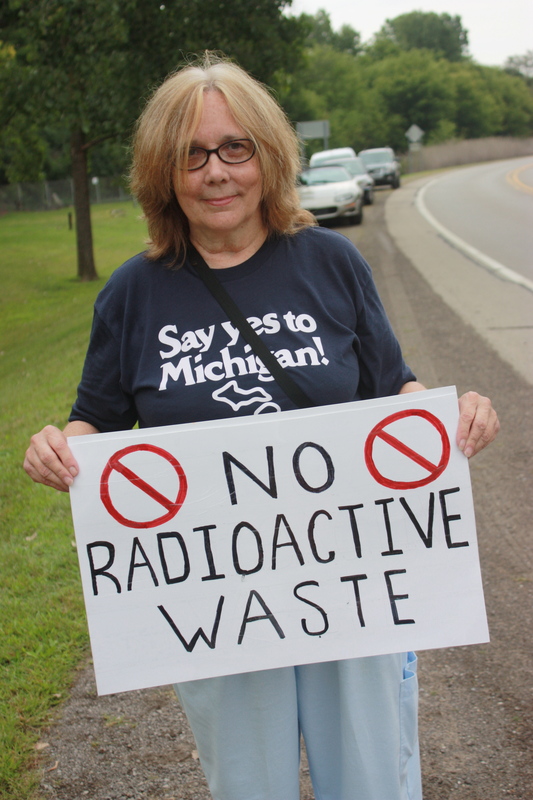 In two articles about the torn liner, dated January 2 and February 7, it reported that Wayne Disposal does not take in radioactive waste. What’s in radioactive frack sludge, anyway? Rich AL and Crosby EC, “Analysis of reserve pit sludge from unconventional natural gas hydraulic fracturing and drilling operations for the presence of technically enhanced naturally occurring radioactive material (TENORM),” New Solut. 2013;23(1):117-35. doi: 10.2190/NS.23.1.h. BMF: Does this mean there is no rule requiring disposal well operators to test material for radioactivity before disposing of it into the well? BMF: And is there also no rule requiring that gas wells test flowback before sending it to a disposal well? On Michigan drilling permits, the operator states if there is a “reserve pit” and whether the materials will be “solidified on site.” If there is a landfill where the materials are to be brought, the landfill is sometimes named. 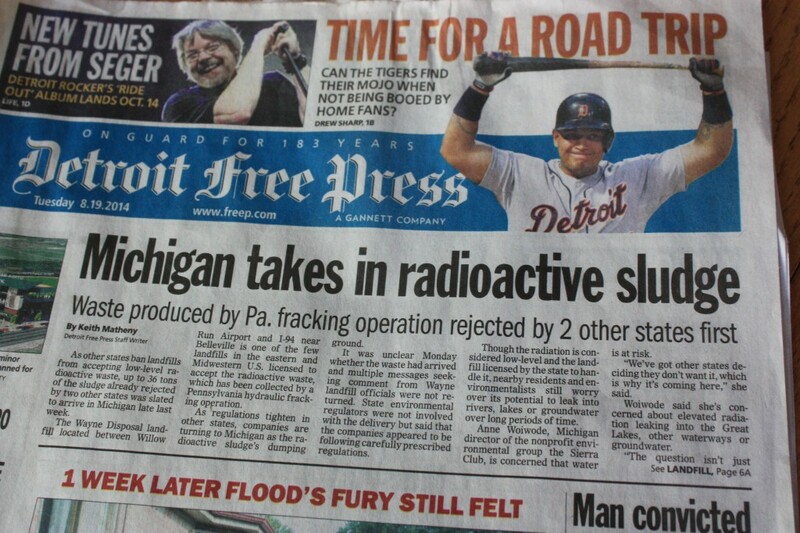 Matheny, Keith, “Michigan landfill operator suspends receipt of low-level radioactive waste,” Detroit Free Press, August 25, 2014. Ortzman, Rosemary, “Wayne Disposal official to bring information to Sept 2 VBT board meeting,” Belleville Independent, August 28, 2014. 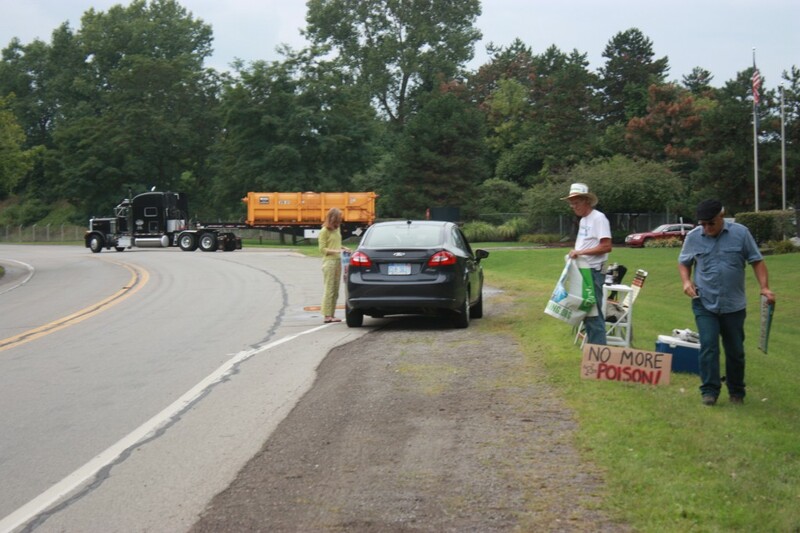 Smith, Heather, “Frackers are sending sludge to the mitten state,” Grist, August 19, 2014.